Description: CJBC is a Canadian radio station, which broadcasts at AM 860 in Toronto, Ontario. 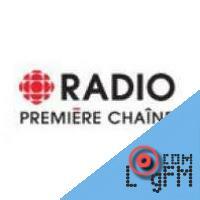 It is the city's affiliate of Radio-Canada's Première Chaîne network.The station was originally launched in 1925 as AM 840 CKNC, owned by the Canadian National Carbon Company. In January 1927, the station moved to AM 690, returning to 840 a month later. The station then moved to 580 in 1928, and to 1030 in 1931.The station was leased and then acquired by the Canadian Radio Broadcasting Commission, the forerunner of the modern Canadian Broadcasting Corporation, in 1933 and became CRCY, before leaving the airwaves in 1935. The following year, it returned at AM 1420, as a signal booster for CRCT. The station's callsign was changed to CBY in 1938, and to CJBC in 1943.In 1944, CJBC became the flagship of the CBC's Dominion Network. In 1948, its signal strength was boosted to 50,000 watts, up from its previous strength of 1,000 watts. As a Dominion Network affiliate, the station carried network programming in the evening, which included light entertainment fare and some American programming, and local programming during the day.CJBC began carrying some French language programming in 1962, initially in the form of a nightly, half-hour newscast at 10 pm. With the closure of the Dominion Network on October 1, 1962, CJBC's French schedule expanded to two hours of programming each evening. The station adopted a French-only schedule when it became a fully fledged Radio-Canada station on October 1, 1964.The station has been carried on re-transmitters in Belleville, Kingston and Midland-Penetanguishene since 1977, London since 1978 and Peterborough since 1980.Since 1993, CJBC's Toronto studios have been based at the Canadian Broadcasting Centre on Front Street. A sister station, CJBC-FM, was launched in 1992 to broadcast Radio-Canada's music network. Advertising: . At LogFm.com you can listen to any of the 45,000 radio stations online. We have made it easy for you to find your favorite radio, listen to the music you like, find the best new songs, listen to the latest news, etc. Simply type the station name in the search box and enjoy your choice. Listen to the radio online at LogFm.com. Our E-mail: info@logfm.com. Live CJBC (Première Chaîne). Rock and pop music, to listen to the latest news online.All rights reserved. 2009-2019 © LogFm.com.